Commenting on the changing electoral lists towards a more youth centric vote bank – Change in the next election therefore hinges crucially on voter turnout. This will likely benefit the PTI more than the two major parties. Indeed if the remarkably stable vote banks of the PPP and the Muslim League are to be eroded – or overwhelmed – it is higher turnout by young voters and other first time voters that can swing this. Commenting on the Urbanization of Rural constituencies – This changing rural-urban landscape advantages the PML-N more than the PPP. But it also opens the opportunity for new urban voters and especially those from the growing middle class to consider the PTI as a serious alternative especially as it seeks to convince voters that the two major parties represent the past, not the future. “What people fail to realise is that in their sweeping, over generalised judgments, they had closed their eyes. When the PTI woke the youth of the elite class up & politicised it, it wasn’t the party’s only step; it was the party’s last step. Imran Khan, through his life, teaches us to be idealists and that is why he is who he is today; that is why so many years of supporting the PTI are bearing fruit. I got to spend 30 minutes at the, August 13, 2011 PTI rally in Islamabad, and during those few moments, I was convinced for good that change was inevitable. This rally was not aired prominently on television. I’m afraid, from a junior Bhutto to a senior Sharif we wouldn’t be left with a lot of choices if this is how we chose our leaders. And speaking of leaders, I support Imran Khan because the leaders that my votes have put in power don’t inspire me. My life is difficult as it is, and I don’t have patience for a detached world where corrupt billionaires play victims and democracy serves the purpose of revenge. I have had enough. Imran Khan speaks of my realities. His aspirations for my country are similar to mine. So what should I do? Should I stubbornly tell myself that no, good things can never happen to me, and painstakingly find arguments that feed my scepticism? Or should I get up and say: Ok, it seems very difficult, I don’t know how this man is going to do it, but then look at his track record. He is not an angel from the heavens, but he is credible. Credible, but human nevertheless, who like all humans is bound to make mistakes. So let’s not attack him before he has even starts. Let’s help him out. He probably needs it. Zain Umar pens another masterpiece Deus ex machina of Pakistan, the entire article is worth a read – but these three paragraphs hold me captivated. If Jinnah was the leader of the nation of lion hearts, the Quaid e Azam, Imran Khan has earned the title of the leader of the nation of cornered gladiators.Quaid e Azam saw a dream and converted it into reality; Imran Khan endeavors to save the same dream from going sour. The stage is the same, the place is the same, the challenge is the same, the circumstances are the same, the patriotic fervor and charisma of the leader are the same, what is left to be done is the same gushing of emotions, venting of passions and expression of will which set our forefathers on the road to freedom 65 years ago. Time to relive the tale, recreate history and reinvent Pakistan. Time to herald a new era of peace, prosperity and beatitude. Time to show the world that we are a nation of 180 million lion hearts, a nation of cornered tigers, led so admirably and heroically by destiny’s child, the fabled savior of our times, Imran Khan! 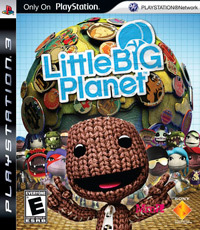 Sony Entertainment has announced that it is recalling the Playstation 3 video game, LittleBigPlanet, from retailers after it learned that the soundtrack featured some Arabic-language lines which were also in the Quran and backed with music Sony said that “one of the background music tracks licensed from a record label for use in the game contains two expressions that can be found in the Koran.” the two phrases are (literally translated from the original Arabic): “Every soul shall have the taste of death” and “All that is on earth will perish.”.